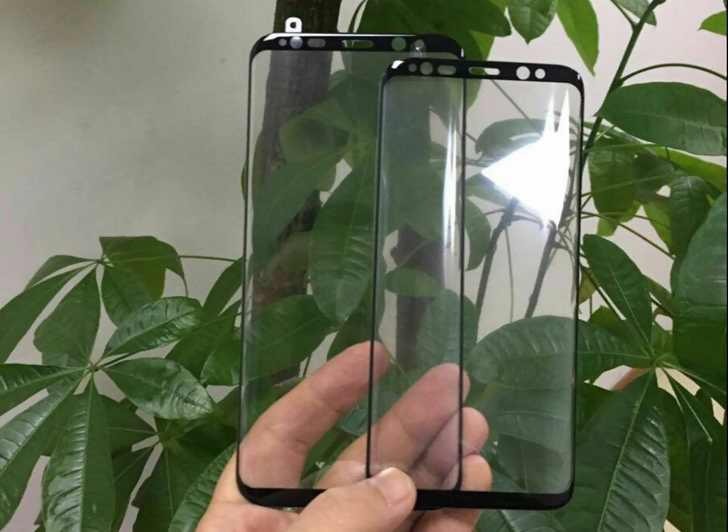 A new image of two display covers for Samsung Galaxy S8 smartphones surfaced online. These panels are a very close match to the actual Galaxy S8 devices, these images are the best representation we’ve seen yet of the unreleased Samsung phones. The latest image shows an extra sensor windows for the iris scanning array. This appears to be a live shot of replacement panels. The image also shows a bezel-less display – there’s almost nothing to rest your thumb. Both sizes of panels also appear to sport curved displays. Interestingly, the image also suggests that the display’s corners will be round. Combined with the minimal bezel, this would give the S8 a very striking look. We have to take all these rumors with a pinch of salt.